The supermarket has blueberries! And Brussels sprouts, and nice lettuce! The news was spreading fast by Facebook in the growing expat community in Kurdistan. More and more foreigners are working in Kurdistan, and they have their own demands. An important one is a better variety of food. As a result supermarkets are bringing in new products, because they know they will find customers for it. And restaurants offer more variety; at receptions in Erbil we get even offered Western snacks and bites. When I arrived in Kurdistan almost six years ago, I had to adapt to what the market was offering. Nobody would import anything for me, as my wishes were too foreign. I knew, because when I tried to cook a Western meal, my guests were not happy. They were very attached to their Kurdish kitchen. I filled up suitcases when I went home, with some of the products I was missing. Good cheeses, good butter, nice bread. And I almost stopped cooking. With more foreigners coming in, I see a development that I have seen in Holland many years ago. My mother’s cooking was simple: the Dutch menu of cooked potatoes, vegetables, a bit of meat and gravy to go with the potatoes. When the red and green peppers came on the market, she did not know what to do with them, and the same when Holland started producing aubergine, mushrooms and courgette. And garlic, what to do with that? It took a while and recipes from the women magazines before she started using the new vegetables. And she did not only have to overcome her own ignorance, but also had to educate the tastes of her husband and children. I can see the same happening around me again. 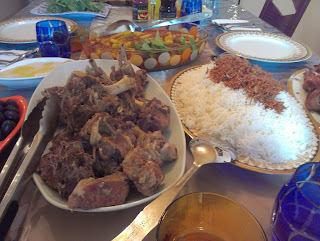 Kurds are used to rice and sauce at lunchtime, and it seems almost impossible to get them to change their menu. But I know they will, in time. For one, because the Kurdish staple diet is too fat to be very healthy in a time when people move less and less – that is partly the reason why the Dutch changed their eating habits. 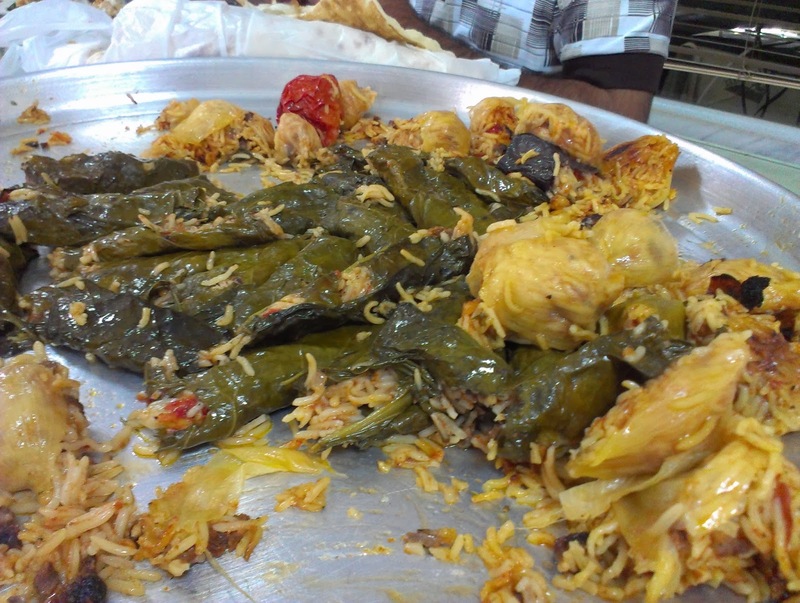 But also because so many Kurds who lived outside came back with changed tastes. “I am so longing for a fat frikandel”, a Dutch Kurd posted on Facebook, revering to Dutch fast food. Others have posted pictures of Dutch food they were cooking. We all post when we find products from back home, and we meet outside the Holland Bazar in Erbil and Duhok. The older generation probably will not make the change – even my father never really learned to eat garlic. But for the younger ones, international tastes are already here. After years of isolation, Kurdistan is also opening to the world in this sense.